No. 17, Jalan Industri USJ 1/5, Taman Perindustrian USJ 1, 47600 Subang Jaya, Selangor, Malaysia. 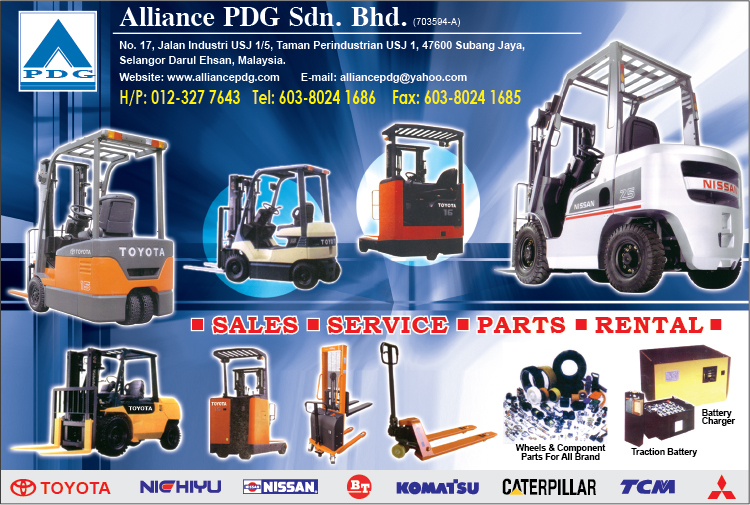 Alliance PDG specialises in Sales, Rentals and Services of Material Handling Equipment such as Diesel Forklift, Gas Forklift, Petrol Forklift, Battery Forklift, Battery Reach Truck, Powered Pallet Truck and Stacker. We also supply traction battery & charger. Wheels and tyres replacement are also available. 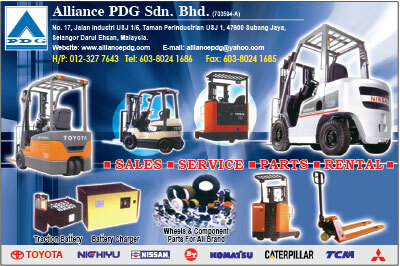 At Alliance PDG, we are committed to provide innovative solutions to suit our customers' requirements.